Colorado Sued for Low Emission Standards! DENVER, CO – Colorado’s plans to match California’s emission standards have been put on hold. As a result of the new low emission vehicle standards, the Colorado Automobile Dealers Association (CADA) is suing the state. these low emission standards. These new principles were modeled after California’s stricter vehicle emission standards. Meanwhile, California instated these regulations in 2012. In Colorado this was an executive order signed by former Governor John Hickenlooper before the end of his term. CADA claims that the new criteria that the Colorado Air Quality Control Commission established are impossible to meet. Seventy-five percent of new vehicles in Colorado are SUVs and pickups however California’s new vehicles are only fifty percent SUV’s and pickups. CADA claims that’s it’s illegal to propose such high-standards to acclimate to. CADA wants the regulations discarded. The commission argues that the change in regulations will greatly affect consumers in Colorado. 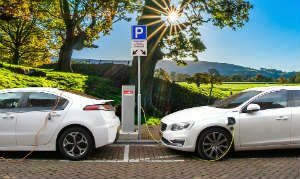 Therefore, consumers are the ones who will have to pay the price for electric vehicles and more expensive fuel-efficient cars. Subsequently, the new requirements begin for light-duty and medium-duty models in 2022. Manufacturers will surely take a hit. Thus, losing money on SUVs and pickup trucks means raising the prices of other vehicles. Additionally, the newly elected governor of Colorado, Jared Polis, wants to take the new standards a step further. He has begun proposals for a zero-vehicle emissions program. This will be his first executive order. CADA believes this is injustice to Colorado citizens. The commission believes that the state shouldn’t affect what type of car people should buy. Only time will tell what’s going to happen for Colorado’s fuel emissions.